If you are looking for a place where you can be able to find a comfortable and classy minibus for hire then you are at the right place. Minibus Hire London is one of the best when it comes to provision of transportation services for people who love to travel in groups. We have minibuses that are kept in good condition for different purposes like holidays, school trips or team building. Our main customers are groups of people who would love to travel together and they can't be contained in small cars. There are others who would like to attend special events together such as weddings and funerals. Such people also find our services to be very convenient. The business community is another group of people who usually find our services very important in their commercial purposes. One of the reasons why the business community likes to hire coaches from Minibus Hire London when attending business seminars and other workshops is because we have the best coaches that can offer the comfort and satisfaction that they may be looking for. Our minibuses are driven by professional drivers who have the regulatory benchmarks that are required in driving buses. They also have good criminal records therefore we are sure that they will do nothing that will compromise your security in any way. You will enjoy the good driving of our drivers as well as other amazing services from our staff like warm and friendly agents who will pick your call and assist you in the booking process. You can be able to have a cost effective plan of transporting large groups of people using minibuses. Instead of hiring separate small vehicles, it is better to hire a minibus that can carry the entire group that is going for the same function. This also makes the trip memorable and enjoyable. Minibus Hire London specialises in coach hire London transfers, for groups of all sizes. We can cater to just about any size of group, up to 53 passengers in a single coach vehicle, but you have the option to book as many vehicles as you need at one time. London is a gorgeous capital city that has events and festivals on just about every corner. Count on our dedicated team for your transportation needs to theatre plays, movie premiers, concerts, football matches, festivals and much more! The team at Minibus Hire London can accommodate school trips in and around London. Whether you have a large or small class, we have the right coach hire for your group. Not to mention the highest in safety and transportation services in mind. Our drivers are trained to deal with large groups of students, from the messes to the hassle of dealing with youngsters, with a polite and courteous manner. Book with Minibus Hire London for your school trip and you will not be disappointed. Minibus Hire London provides many airport transfers at all the major airports in London. The operators will book a coach to transport your group of travellers anywhere in the United Kingdom. Our drivers will do a meet and greet before taking your group to your destination of choice. A popular service that Minibus Hire London supplies is the coach hire for festivals and special events. We can cater to group of any size, however, we can only fit 53 people in one coach at a time but you have the option of booking multiple vehicles at once. Count on our team to get you to a variety of events, from theatre plays to concerts and more! Our team understands that weddings are a once in a lifetime event that needs to happen without any hitches. That’s why our team at Minibus Hire London goes the extra mile to take care of all the transportation arrangements from the booking to the arrival at your venue. Trust our team to take care of your loved ones in style. Professional transportation services are offered to and from sporting events throughout London and the surrounding areas. Book a coach hire and see what an authentic British sporting event is really like with your friends, family, school or company. No matter what you are looking for, whether it a tennis match at Wimbledon or a football game, you can rely on Minibus Hire London to get you there safetly. 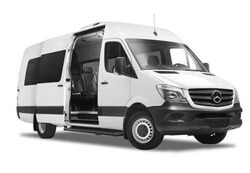 Minibus Hire London aims to offer the best prices on the coach hire market, to make sure that all visitors can get where they are going in London, England, and around the UK. Not to mention we have a range of vehicles in our fleet, from 24 to 53 seat coaches for hire, which allows us to transport groups of all sizes. This means that we are a more economical option for large groups, as the amount of vehicles needed is reduced to one large coach. Making funeral arrangements can be stressful and an emotional process for many people. Our team at Vertex travel, from the operators to the drivers, aim to make the process as simple as possible. Simply book with us and then let us worry about picking up your loved one’s in black coaches for the funeral procession. A growing service with our business clientele is our business coach hire service, that includes a standard or executive transfer around London, England, and the UK. Our professional drivers will arrive ready to get you to your business meeting, conference or any other place to meet with your clients or business partners on time and in style. The team at Minibus Hire London is interested in showing all their passengers the natural beauty of England. Take one of the coach tours and see all that England has to offer, plus get involved in the British lifestyle, which is well-known across seas for their Royalty and famous landmarks. Our company offers some of the most competitive rates on coach tours in the market, to ensure that all visitor can see what this beautiful country has to see. Our team of operators can accommodate groups of any size, with coaches ranging in size and amenities. All the vehicles in the Minibus Hire London fleet include the standard features, from air conditioning to TV/DVD, free Wi-Fi and drinks. Not to mention all the best in safety features, like three-point seat belts, and regular inspections done every single month. When you upgrade to an execute model, your group will enjoy more room and the luxury of leather and reclining seating. Our larger coach models, from the 49 to 53 seat coach hires include even more amenities, from a toilet to a centre door, with is perfect for large groups travelling long distances. Besides offering many amenities in our coaches, they are regularly maintained and serviced to ensure that they provide a high-level transfer. Not to mention our driver training and certification program that makes sure our drivers provide the best possible transfer, from the traffic route to the customer service. We offer some of the most competitive rates in the coach hire market, to ensure that all visitors get a quality transfer around London. Check out the Contact Page for more information or details on any of the services offered by Minibus Hire London. 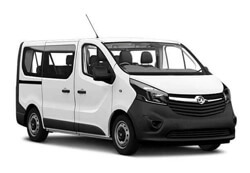 The most important thing that Minibus Hire London is keen to achieve is the comfort and convenience of clients. 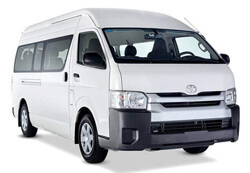 Our wide variety of minibus sizes to choose from will ensure that you get the minibus that will accommodate comfortably the people who you are travelling with. You can always contact our customer service department to inquire on any matter that you may have regarding our services. This will enable you to make an informed decision therefore you will pick the services that will be useful to you. In addition we have a well trained professional team that will assist you in the best way possible to ensure that you get the answers for all the questions that you may have. To ensure that we remain useful to the client, we give you all the options that you have before you select the services that you want so that you can choose what is best according to your own judgement. 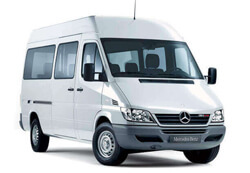 This makes Minibus Hire London to be one of the best in London in terms of minibus rentals services. Our vehicles are equipped with modern entertainment facilities to ensure that you are full entertained as you are travelling in our minibus. These include CD and DVD players, with some minibuses even having screens from which you can watch your favourite videos as you travel. 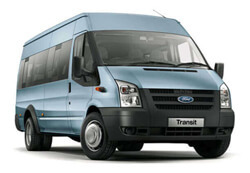 Our minibuses sitting capacity ranges from 8-18 thereby giving you a chance to choose the most appropriate bus in terms of the capacity of people who you need to transport. For the larger groups of clients, our coach hire in London is there for you. 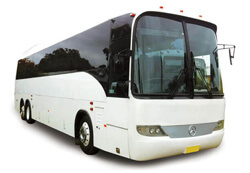 We will provide you with coaches that will give you comfort and safety as you travel. We also do airport minibus hire services where we take you from the airport, move you to wherever that you need to go and take you back to the airport. If you prefer driving yourself, we have our self-drive minibus services where we will give you a minibus without a driver. You may book for our buses online or you can opt to call our customer support so that you can enquire more about the methods that we use for booking and the minibuses that we have. This is why we have invested a lot in our customer care department that has proved to be an important avenue where you can get any assistance that you need. This includes advice on the seat capacity of the bus that you should use when you want to transport a group of people of different numbers as well as useful tips for the best places that you can visit when looking for a touring place in London. Our company is responsible in the management of the journey from the time of departure to the time when the bus arrives to its destination and we are stand by to assist in case there is a need for any help during the transit. Our main goal is to satisfy our clients and we will do anything within our reach to ensure that we meet this objective. This is why we pride ourselves to be the best transportation and minibus hiring company in London that is available today. Our fleet is grouped in parts i.e. 10 Seater minibuses, 12 Seater minibuses, 14 Seater minibuses, 16 Seater minibuses, 17 Seater minibuses and 18 Seater minibuses. These vehicles give our clients a variety to choose from depending on their needs.